In this photo we used three paper Dunkin Donuts cups. The one in the front is in focus and has the Dunkin Donuts words. 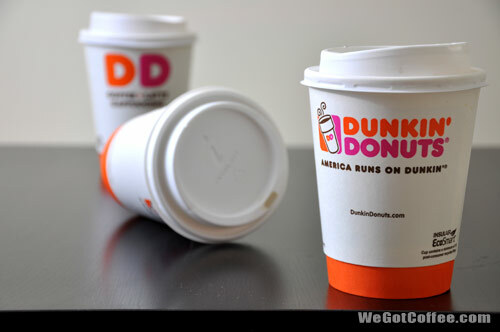 The cup out of focus in the back as the back side of the cup which just has the DD, with the Dunkin Donuts color theme. Diffused lighting was used on the left and right of the cups.